It’s tough to describe a weekend of a million memories in just a short post, but here we go. 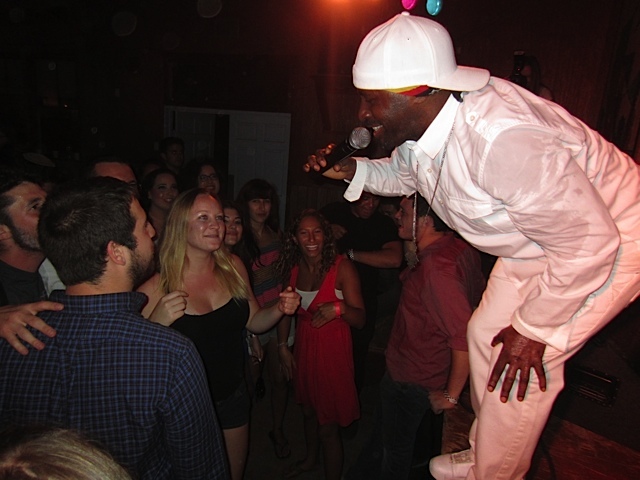 Jewlicious “SummerFest”, held Aug. 16-19 on the campus of Camp Alonim, and Brandeis Bardin Conference Center in Simi Valley, CA, brought in 250 Jewish young adults from around the country. We began SummerFest — also referred to as Camp Jewlicious — three years ago, creating a Jewish summer camp themed fest that was part nostalgic summer camp and part inspiring music festival. Festival-goers had the opportunity to sleep in air-conditioned cottages, camp bunks or to camp out outdoors under the stars. Tent camping was by far the most original and affordable way to have fun. 100 people camped out in tents and RV’s! Bonfires, and camp-style shabbat experiences mingle with yoga, hikes, meditation, sports, rock climbing, swimming and mountain biking. Arts & crafts this year included Shabbat candle making, batik challah covers, and tie-dying. Music was a critical component of the weekend’s excitement. Thursday and Sunday featured singer/songwriters Mikey Pauker, Laura Wiley, Rav Shmuel, Natan Winkler, Griffith Clawson, and Martin Starrow all playing acoustic sets. Saturday night’s three hour show featured Pato – whose show I will describe below – and Ari Herstand. And after the concert, festival-goers celebrated until dawn at a rave perched high upon a bluff at the House of the Book, while others jammed on drums and guitars around a bonfire. Summerfest did not shy away from spirituality, but embraced multiple expressions of Jewish observance. 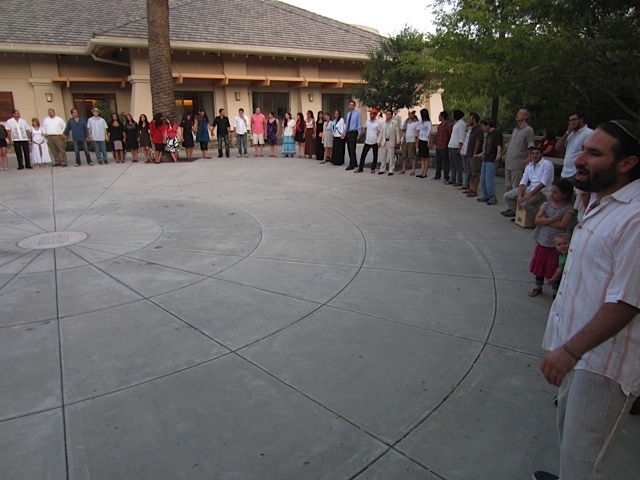 Three concurrent Kabbalat Shabbat services provided many ways to connect. Jewish world-music star Yehudah Solomon of Moshav led Carlebach style service, Artist-in-Residence Marcus J. Freed created a moving meditation, and veteran Jewish singer/songwriter Sam Glaser led a camp-style services as well as a rocking havdalah. In addition to the fun and excitement of the activities, the program delved into hot topics affecting Jewish young adults today. Friday night and Shabbat afternoon included talks on social entrepreneurship, career choices and how to find work, relationship issues, Israel, and health and healing. These well-attended sessions offered participants practical and relevant discussions. And then there was the Saturday night show. The upbeat rhythm of British reggae legend Pato Baton kept the crowd electrified. “I love Israel friends. I have been there two times,” said Pato, “Let’s pray for peace in the east.” The crowd thundered back with applause. Pato then sang a song about Jerusalem he wrote that evening. I met Pato a few years back. He expressed his hope to connect with the Jewish community. Pato, whose career spans three decades, feels a strong spiritual bond with the Jewish people. In addition to his affinity and love of the Jewish people, reggae music is awesome festival music. We also knew based on past experience that a Saturday night concert at a music festival must be world-class, and Pato is exactly the type of consummate and talented performer sure to wow the crowds. We were not disappointed and OMG did we have fun. The universal “positive vibe” music connected on a deep level everyone packed into a converted, 50 year-old barn built by Zionist visionary Shlomo Bardin. Pato’s dynamic performance by all accounts was the highlight of the festival. Pato hugged the audience with his enthusiasm and charisma – and wants to come back next summer :-). SummerFest was a raving success. We thank the participants, staff and volunteers that helped make this weekend possible. And there would be no such program without the vision and dedication of our major patrons: The Adam and Gila Milstein Foundation, the Jewish Community Foundation Los Angeles, and the Jewish Federation of Los Angeles Valley Alliance. A great website with all kinds of info about reggae and rastafari! Want to know how to be a true Rastafarian? The answer is right here..